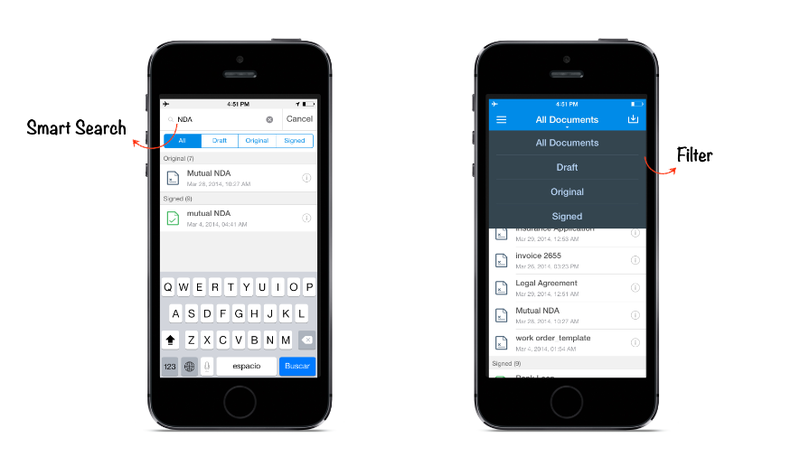 The new SignEasy App is organized around what matters most: Your Documents. This is why the new home screen of the app is the Document List. 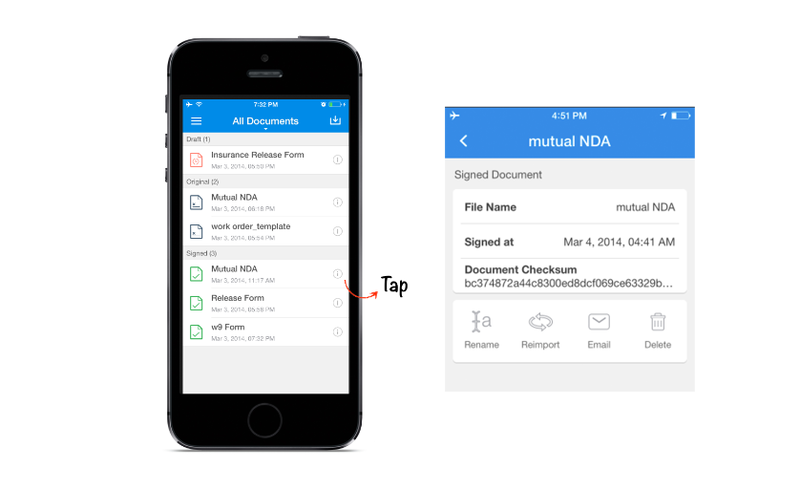 Read on to know how you can benefit from the new document related features in SignEasy app for ios7. Smart Search: No more wasting time searching for your documents. If you are looking for a particular document, use the smart search feature in the Documents screen to narrow your search. Be specific by choosing a document category: All, Draft, Original or Signed. 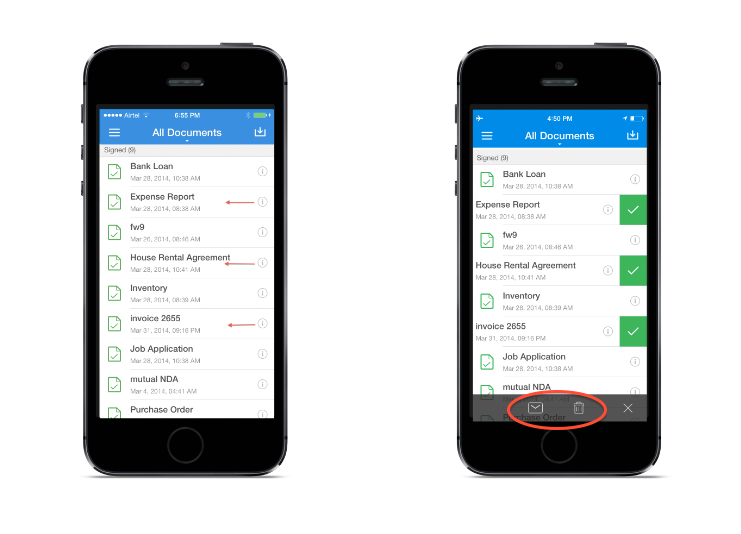 Notice you can also go directly to a specific document list by tapping on All Documents and choosing from the drop down menu options. We added a document detail screen so you can easily access your file’s information. For signed documents we have added the checksum code, a unique code which proves that your document was securely signed with SignEasy. In this screen, you can also perform different actions on a document such as Rename, Delete and Reimport. Make the best use of your time, send multiple signed documents by email and delete unnecessary files from SignEasy app in one go. To do so, swipe on any given file on the document list from right to left and choose an action from the bottom tool bar, Email or Delete.